***WELCOME HOME***Upgrades abound throughout both the interior and exterior of this 4 bed, 4 bath, 2 car garage home! 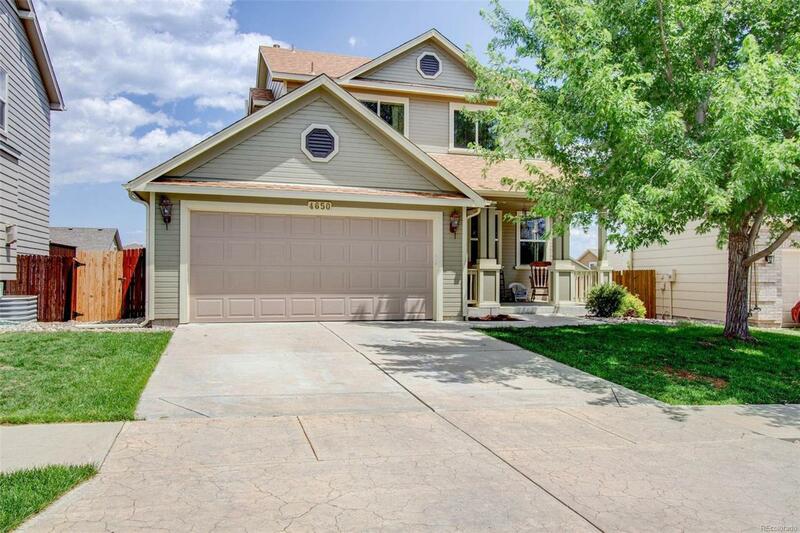 Come relish in this open-concept, airy, light, and bright 2-story located in the coveted North Range at Springs Ranch subdivision. Boasting: A/C, new frontloading washer and dryer, an ADT security system, newly refinished kitchen and bathroom cabinets, newly tiled bathrooms, a brand new stainless steel dishwasher and oven/range, brand new vinyl wood flooring, a brand new whole-home humidifier, a gas fireplace, 6-panel doors, tile shower surrounds, brand new custom paint throughout, garage shelving, a finished basement, brand new custom dog run, brand new playset with rubber mulch, new roof, brand new trampoline, newly painted deck, fencing newly power washed and treated, new backyard entry gate, sprinkler heads replaced, a covered front porch, a basement walkout to the backyard, and the list goes on and on.